Feature Writers - Publish articles on legal topics in print and web-based media. Web Writers and Bloggers - Research, write and edit web content for online publications, law firm websites and law-based Internet sites. News Analysts - Reporters and correspondents report on the latest developments in the legal industry. Corporate Writers - Develop, write, edit and design a broad range of business materials for the legal industry, including press releases, brochures, leaflets, web copy, newsletters, profiles, marketing copy, business letters, presentations, reports, white papers, and academic materials. Legal Analysts - Summarize case law, prepare news summaries and analyze industry events for online legal information vendors. Brief Writers - Perform research and draft briefs, motions, memorandums and other legal documents for law firm clients on a contract basis. Legal Editors - Perform copyediting, content editing and proofreading for a variety of legal publications. A minimum of a high school diploma or GED is required to obtain work in the legal writing and publishing field although a bachelor’s degree in English, writing, journalism, communications or related field is often preferred. While not always necessary, writers with law degrees have an advantage in certain legal writing markets. Legal writers must have an excellent grasp of the stylistic and mechanical aspects of writing and the fundamentals of English grammar and usage. They must be able to express ideas in a clear, organized, concise and logical manner and meet aggressive deadlines. Legal experience or in-depth knowledge of the legal industry is generally necessary. Superior research skills and the ability to synthesize, draft and edit complex information are also important. 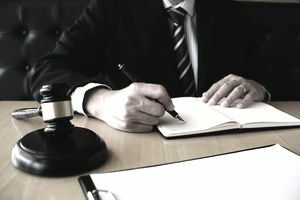 Some legal writers may be required to identify and interview expert sources as well as conceive unique story ideas or fresh approaches to evergreen topics. Web writers and bloggers must be familiar with HTML, SEO, meta-strategy development, keyword research, and online content management systems. Legal editors must have excellent knowledge of grammar, usage, punctuation, and style as well as keen attention to detail and the ability to meet tight deadlines. Knowledge of legal terminology is also essential. Legal writers and editors work for publishing houses, magazines, marketing agencies, law firms, corporations, and public relations departments. Many are freelancers who sell their work to publishers, law firms and other entities. Employment of writers and editors is expected to grow 10 percent, or about as fast as the average for all occupations, from 2006 to 2016, according to the U.S. Department of Labor. Legal writing and editing opportunities are plentiful. With nearly one million lawyers in the United States and growing ranks of paralegals, secretaries and other legal professionals, new and diverse publications have launched to cater to this expanding legal audience. As web-based publications grow, the demand for writers with web experience and the ability to write for interactive media is also predicted to increase.